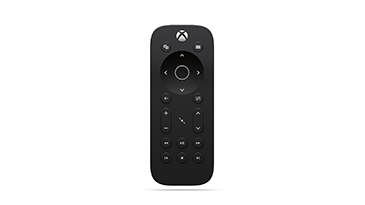 The Xbox One Media Remote lets you control your Xbox One console and, through Xbox One OneGuide, your cable or satellite set-top box. If you’re experiencing issues controlling your TV or set-top box through your console or OneGuide, see You see a black screen or experience poor video quality when watching TV with Xbox One. To control your TV power and volume, you’ll need to configure your console to control your TV. 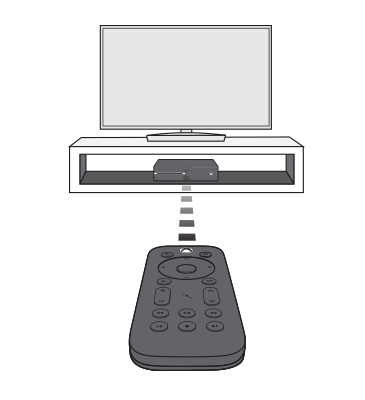 You can use your Kinect sensor to send an infrared signal or the IR extension cables to remotely control your TV. To learn how to do this, see Set up live TV with your Xbox One X, Xbox One S, or original Xbox One console. View button. This button works the same as the View button on your Xbox One controller. Use this button to focus on an activity in a game or an app, like pulling up a map during a role-playing game or accessing the address bar in Edge. The functions of this button vary depending on the app or game. Menu button. Like the Menu button on your Xbox One controller, you can use this button to access game and app menu options such as Settings or Help. This button also works for other commands, including serving as the Enter key on the Xbox One virtual keyboard. Note The OneGuide button can be modified in the console settings to open any installed Media application. To modify which application is opened when pressing the OneGuide button, go to System > Settings > Kinect & devices > Media Remote. Select the desired App to Launch. This setting is console-specific and does not modify the Media Remote, but rather how the OneGuide button on the remote is actioned on the console. Volume button. Use this button to turn volume up and down on your TV. You must first set up your console to control your TV. See Setting up the Media Remote, above. Channel button. Use this button to change channels on your TV. You must first set up your console to control your TV. See Setting up the Media Remote, above. Mute button. Use this button to mute your TV. You must first set up your console to control your TV. See Setting up the Media Remote, above. Note These buttons do not control DVR activity from your TV signal. That function is not currently available. If you’ve replaced the batteries and the remote still doesn’t work, you need to replace your remote. To order a replacement, go to Device Services. Controlling your TV with the Media Remote requires you to first configure your Xbox One to control your TV through the console settings. To learn how to do this, see Set up live TV with your Xbox One X, Xbox One S, or original Xbox One console. Can I use my Xbox 360 Media Remote with my Xbox One? No. 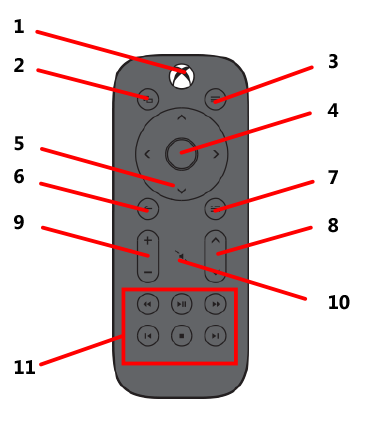 The Xbox 360 Media Remote works only with the Xbox 360 console. Can I use my Xbox One Media Remote with my Xbox 360? No. The Xbox One Media Remote only works only with the Xbox One console. 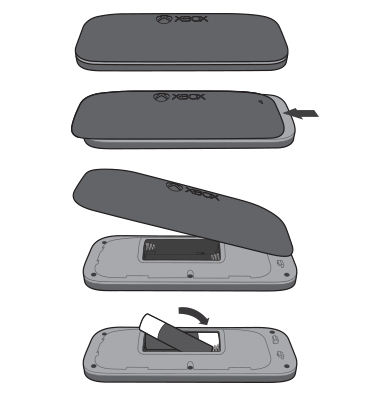 If your Media Remote broke through normal use and operation, you should replace it. To order a replacement, go to Device Services.